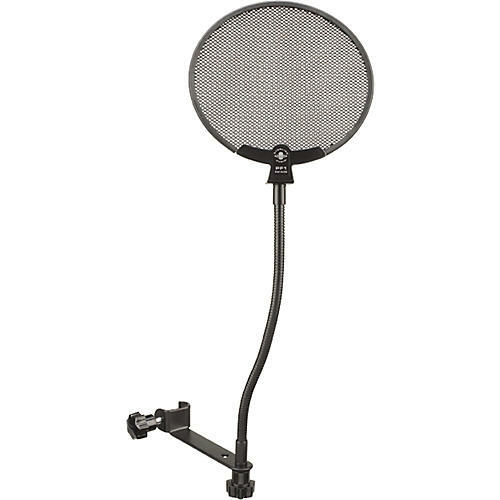 The Sterling Audio STPF1 Professional Pop Filter eliminates plosives and protects your microphone from saliva. Compatible with most mic mounts. Constructed from long-lasting stretched mesh steel, the metal mesh perforations direct plosive energy down and away from the microphone capsule. It's easy to clean and includes a 10" gooseneck and mounting bracket.